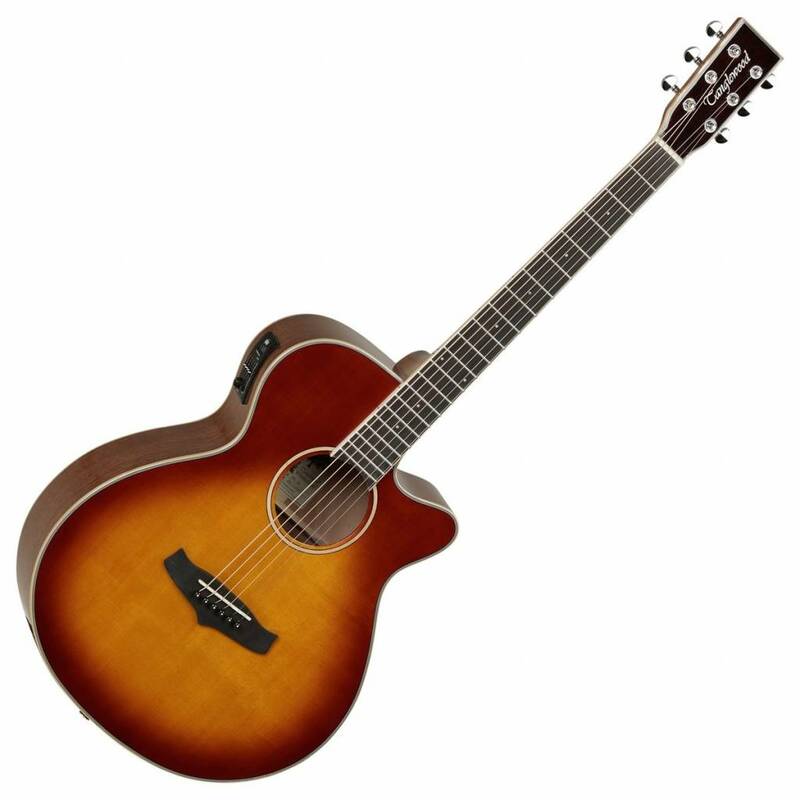 The Tanglewood TW4-SB Super Folk features a solid spruce top and a mahogany body, offering a traditional appearance and a superb tone. This stunning spruce top produces a crisp, versatile tone suitable for many styles of playing. As well as spruce, mahogany is also a dense wood, delivering a warm and woody tone with a slightly emphasised midrange. 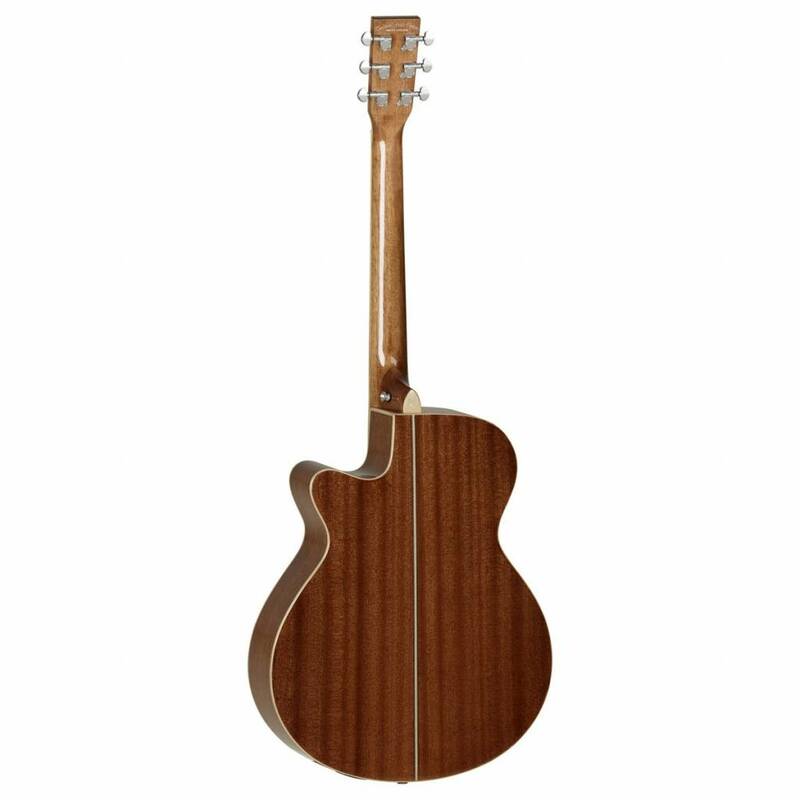 Mahogany also offers a balanced tone that accommodates a versatile range of different playing styles, and is a great choice for those looking for one instrument that can handle many styles from fingerstyle to strumming. The mahogany neck is topped with a tech wood fingerboard, delivers warm, balanced tones that really shines through when using finger picking techniques. The reason why many guitar necks are made from mahogany is because the wood responds greatly to picking, strumming, and various finger techniques with equal ease. 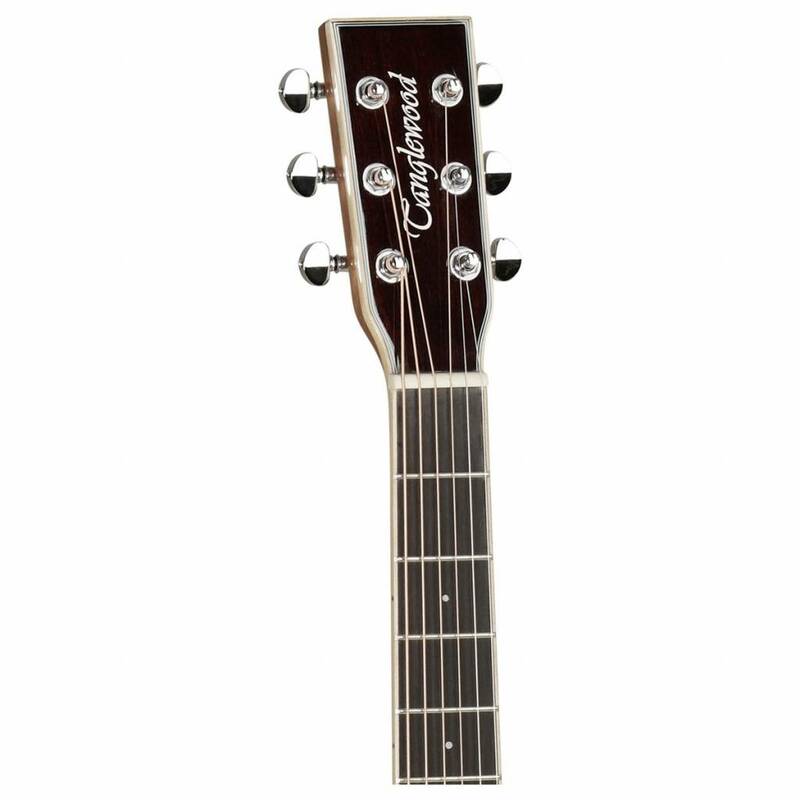 The mahogany projects distinct rich-warmth which complements the bright attack of the fingerboard. 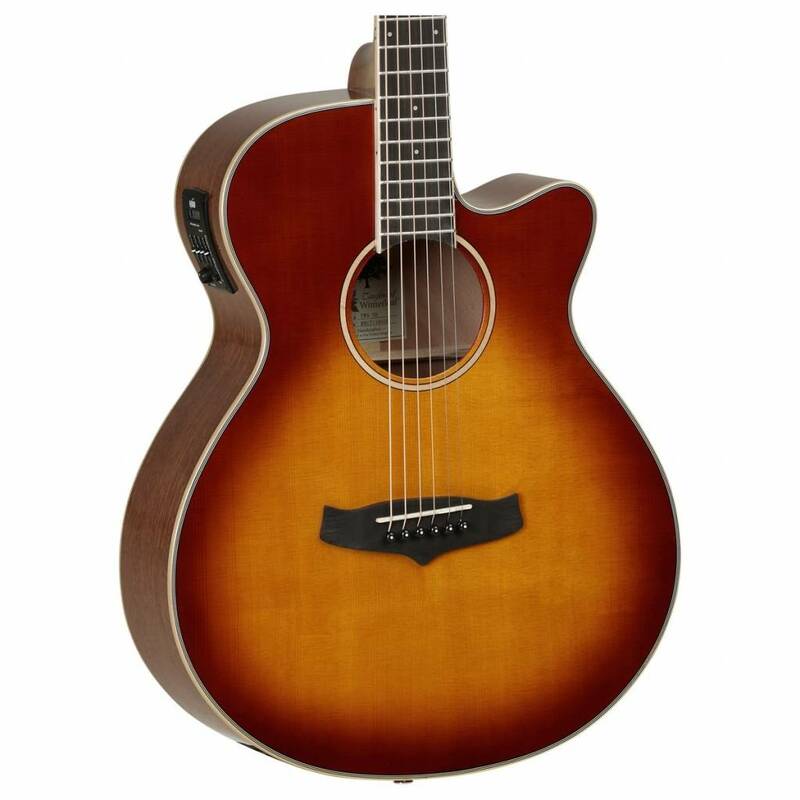 Tanglewood’s tech wood fingerboard is a poplar based wood laminate, which delivers a beautifully balanced soundscape with an incredibly durable performance. Finally, the TW4SB Winterleaf is equipped with a set of D’Addario EXP strings, which are plain steel strings that feature hexagonal cores made of revolutionary NY High Carbon Steel. 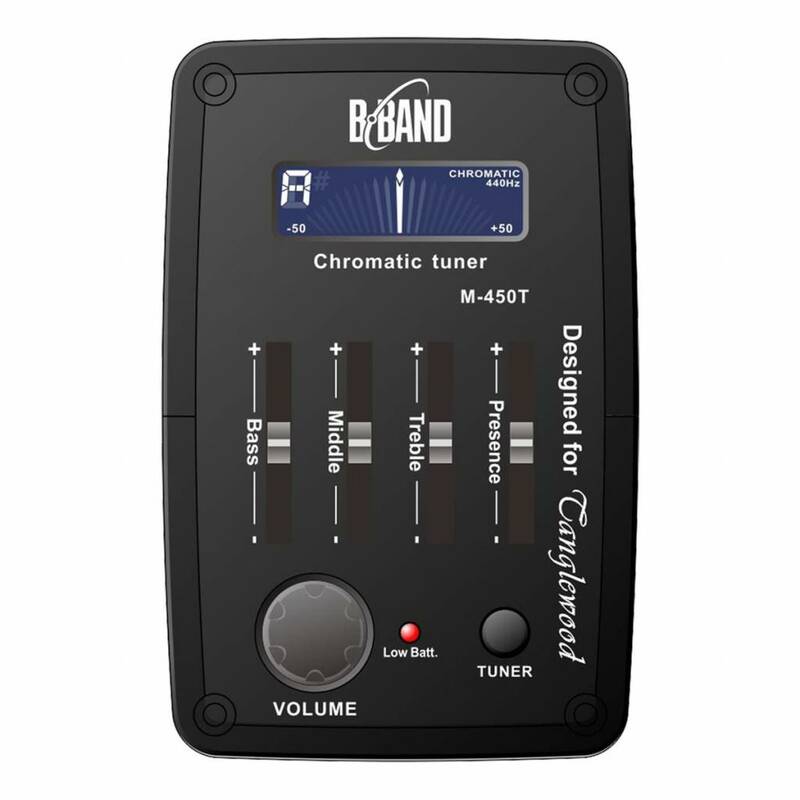 Manufactured in New York, these newly engineered, break-resistant, high-carbon strings deliver unprecedented strength and pitch stability, perfect for any style of playing.